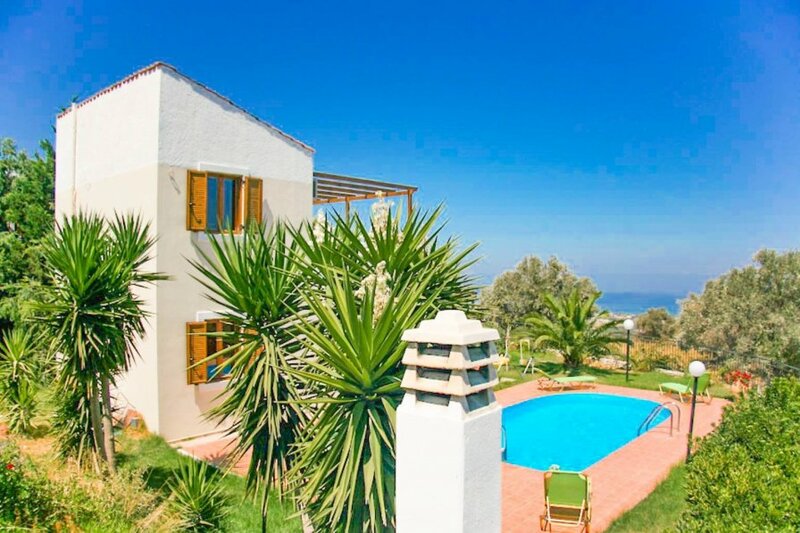 Villa Michalis is located in Maroulas, Crete. This detached vacation rental property is air-conditioned and sleeps up to 6 people (4 adults and 2 children) with 2 bedrooms, 2 bathrooms along with private swimming pool and sea views. The Villa is walking distance to restaurants. Outside there is an attractive garden with private swimming pool (Pool Size: 8m x 4m), sun beds and umbrellas, BBQ and outside grill along with pool and garden dining and patio furniture.